A True all in one cleaning machine, can dry vacuum, pick up wet spills, and shampoo carpets and upholstery. Great for Hotels, Motels, Contract Cleaners, home, hospitals, retirement homes, garage and restaurants. floors, deep cleaning the carpet, cleaning the upholstery, unblocking the sink, you name it, George is your man. 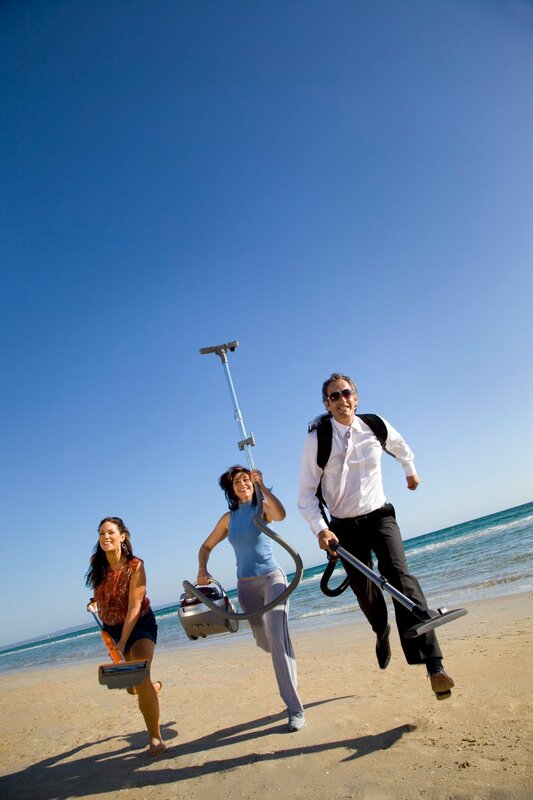 The combination of our highly efficient Twinflo' bypass vacuum motor and our powerflo' pump system provides you with professional cleaning standards, any time, anywhere, ensuring exceptional results. 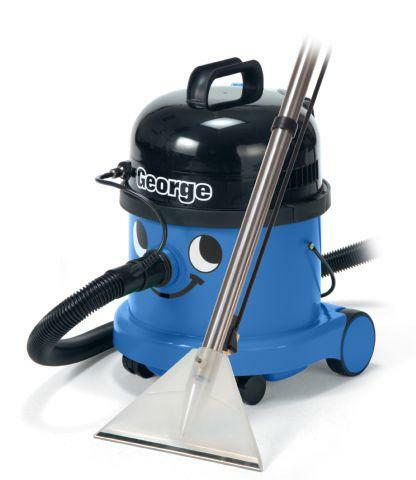 The George design is in itself based entirely on our Cleantec professional range of machines; designed to work extensively and for long hours and functioning to a professional standard.When it comes to dry vacuuming you have big filters, use of disposable Microflo dust bags, and you have a superb combination floor nozzle. In the wet mode, a simple exchange of the dry filter for the safety float valve allows any number of wet tasks to be achieved. So there you have it .... wet, dry, carpets, hard floors, upholstery, you name it, George is your man.